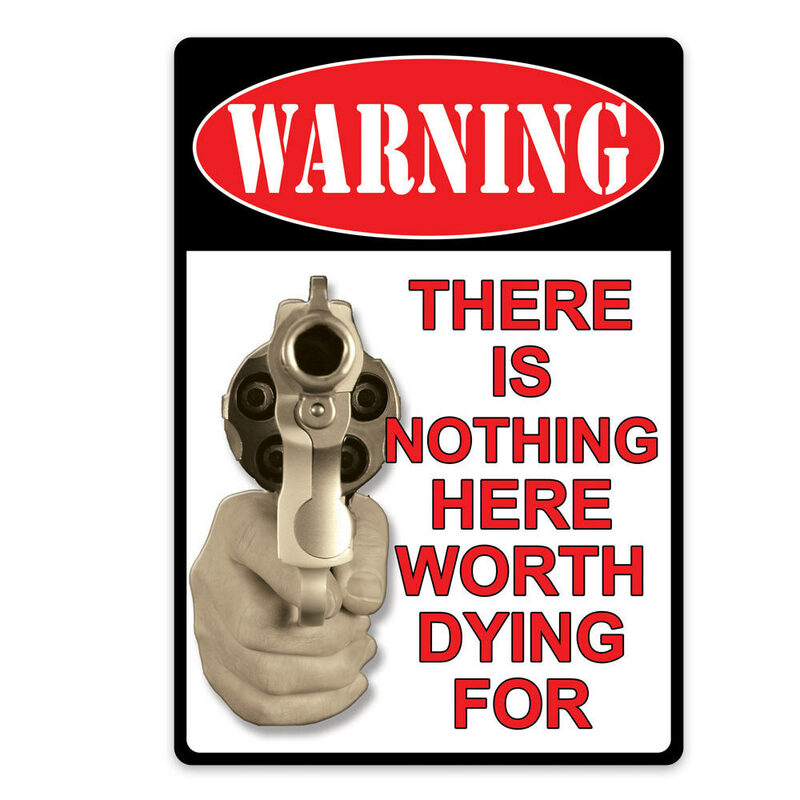 Warning - There's Nothing Here Tin Sign | BUDK.com - Knives & Swords At The Lowest Prices! Make sure thieves know that their life is on the line if they come on your property! Post this sign! The tin sign has a durable waterproof finish and rolled edges. The message, "Warning: There is Nothing Here Worth Dying For," is embossed on it. Pre-punched corner holes make it easy to hang anywhere and a removable hang tag is also included. The quality tin sign is 12"x17". I live in a state were you can pen carry as well as conceal carry. I got this sign, and put it in my front window by my front door. Had the police out to my house due to issues. The police said nothing about the cameras around my house, but did compliment me on this sign. Real nice sign,my x said that its something Clint Eastwood would say! It gets your attention.I'm very pleased with it.I hope you get the others back in stock soon.